Which English king was known as Farmer George? Who was the last king of the American Colonies? 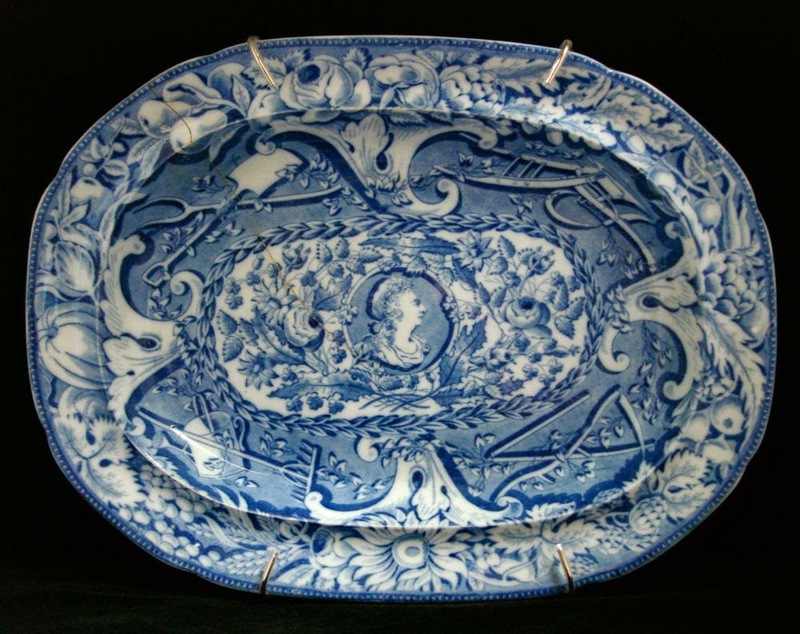 The purchase of a battered platter with an interesting pattern necessitated some research. I actually knew George III was at the center. Yes, he was the last king of the colonies, so he looked familiar. He is surrounded by the floral symbols of Great Britain: the rose, the shamrock and the thistle. 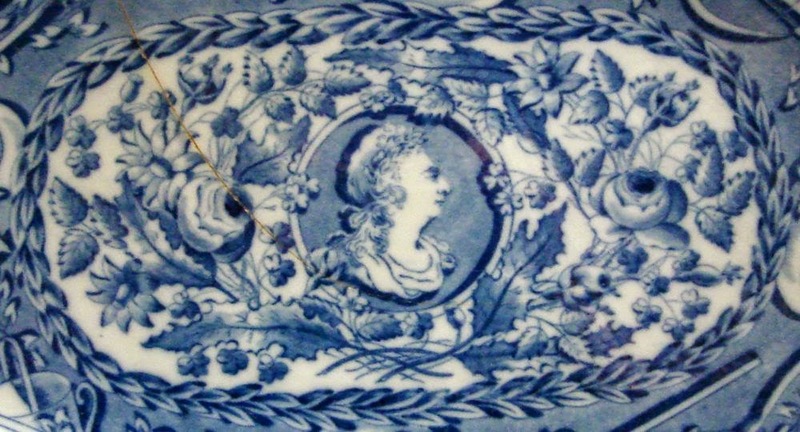 On another note, some of my blog posts show broken and disfigured pottery. The Farmer George pattern is uncommon and was reasonably priced, so it is in my collection. I display it on a wall. Some people are surprised that I would hang such a broken platter. Others don't even notice the cracks because they are so excited by the pattern. What a treasure - I would certainly not notice the imperfections! Thank you! My children roll their eyes when they look at what I love.